I almost thought this was a game art book while doing a quick flip through. The pages were neatly laid out, with character, mecha, vessels in their many views, together with in-depth profiles. 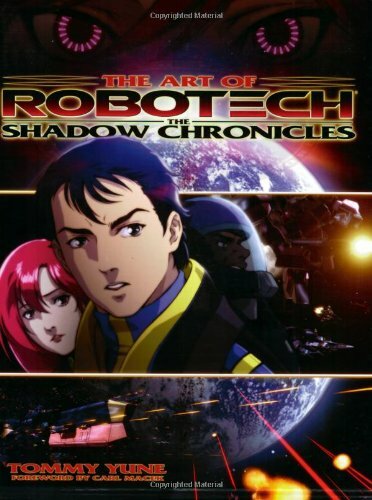 This book takes an insider look at the evolution of Robotech through the years, with plot guides for the TV series and movie. There are hundreds of full-color images, including photos, film stills and cut out materials that never made it to air. Artist that draw amazing robots sketches in pencils always amaze me. These are the foundation for some of the 3D models used in the anime. The best part should probably be the detailed profiles which are always good to read. That perhaps is what makes The Art of Robotech a very informative read. This book is for Robotech fans only.